The witty humor of Thank You For Smoking with the heart of Juno Made for fans of great filmmaking and Jason Reitman's down-to-earth style of directing and storytelling. Phrases you hear more often than not right now. But you should. And I hope you do. That is my job. And here is why you should: Up In The Air is about more than just the firings; it’s about living, learning from and enjoying life. his job and the lifestyle that comes with it. Keener (Anna Kendrick, Twilight), that created the impersonal computerized system that will ground him indefinitely. but two not being actors – brings those scenes straight to the heart. 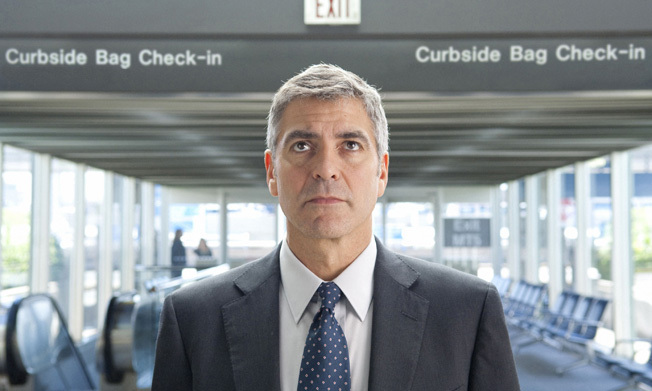 Just like The Road (also opening this weekend), Up In The Air is one of this year’s best films. It’s got a great story, plenty of laughs and a big old heart – definitely not one to miss.